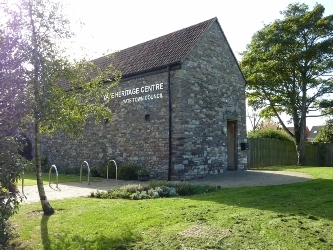 An invitation from the Yate & District Heritage Centre nr Bristol led to the staging of the third exhibition. 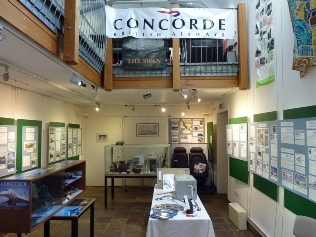 The displays were adapted to suit the various cabinets of the exhibition room, while extensive wall hanging space allowed an excellent presentation of the interpretation boards.The themes used were, first & development flights, passenger in-flight meal service with Royal Doulton crockery & glassware, cockpit instruments & controls, Olympus 593 engine, passenger seats and a selection of parts specifically designed for supersonic flight. A special thank you to all the staff and volunteers who helped make the exhibition a great success which attracted visitors numbers of around 1,075 over the eight week staging. Publicity included reports in the Bristol Evening Post, Western Daily Press and Yate & Sodbury Gazete. Also an interview on BBC Radio Bristol Sunday morning show.